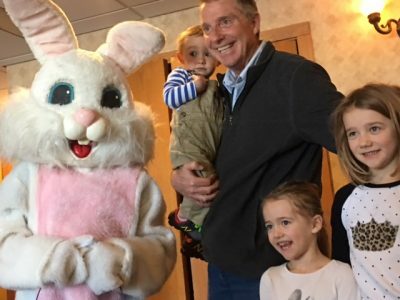 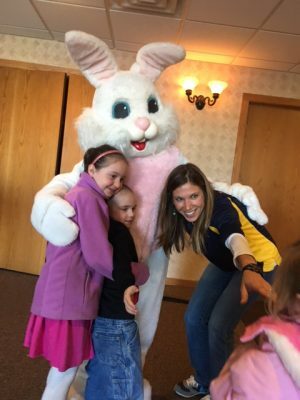 April 13, 2019 – West Bend, WI – The Kiwanis Breakfast with the Easter Bunny is Saturday, April 13. 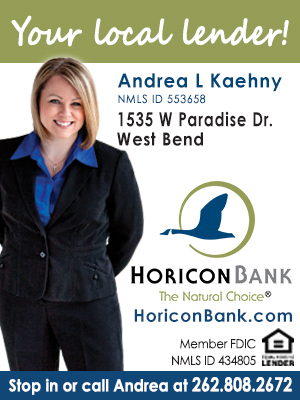 Tickets are available at The Columbianand Horicon Bank. 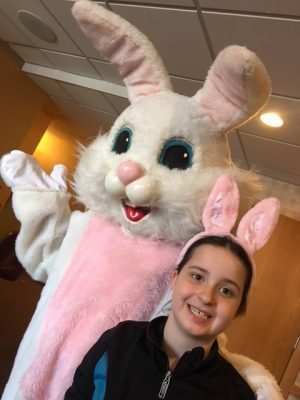 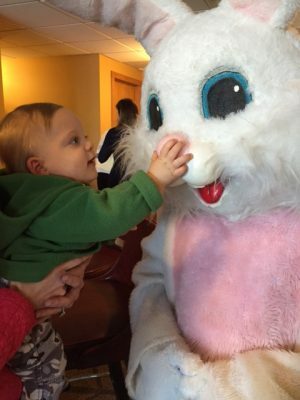 Below is a photo gallery as kids had mixed reaction to meeting the Easter Bunny at the 35th annual Kiwanis pancake-sausage Brunch with the Easter Bunny. 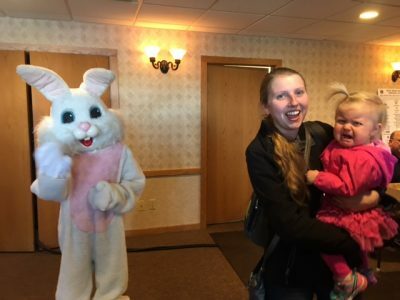 Some kids kept their distance and a wary eye on the rabbit … while others just flat out refused. 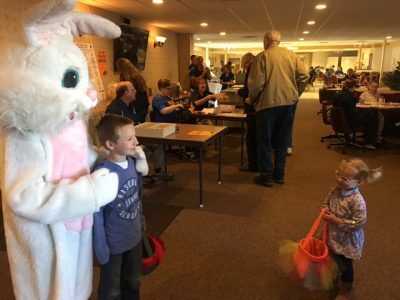 Overall everyone had a good time and there was a near record turnout with over 300 breakfasts served! 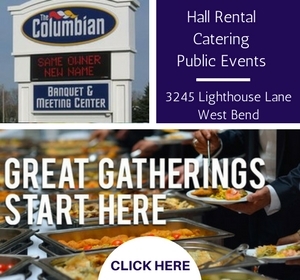 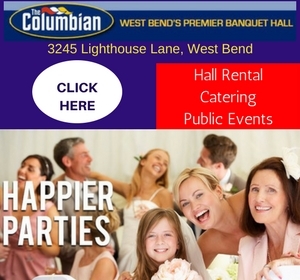 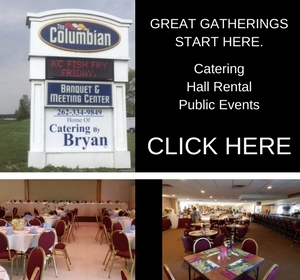 The event was held at The Columbian.